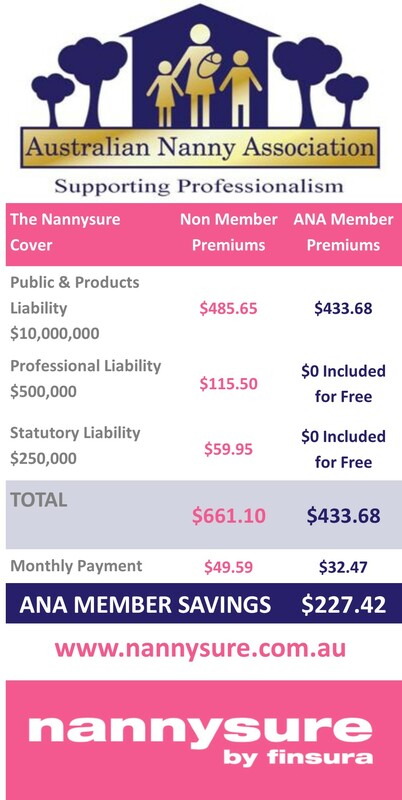 What are the Benefits of utilising an ANA nanny agency? What is the difference between registered care and approved care? 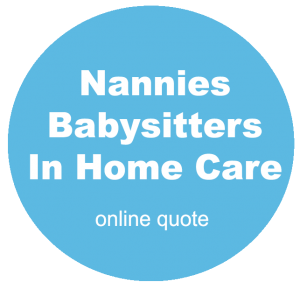 Are Agencies allowed to charge a fee to nannies? 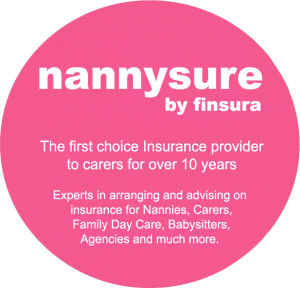 Nannysure have been associated with the Care Industry for over 10 years, we are proud that we have been able to provide personal service and tailored insurance products that meet the needs of your industry. Why is it important to have Liability insurance and what does it cover? Liability Insurance covers your legal costs & expenses in the event you are found negligent in causing personal injury or property damage to a third party. In personal injury claims you could be held liable to pay medical costs including rehabilitation expenses. Compensation could also be awarded to the family not to mention your legal fees on top of that. Without Liability insurance all of these costs would come from your own pocket. Liability Insurance cover provides a financial safety net in the event of something unforeseeable happening. Caring for young children is a high risk occupation. It takes a split second for an accident to occur and you could be held responsible. NannySure’s Liability policy is designed for your industry and provides you with peace of mind should you be held responsible for personal injury or property damage. Professional Indemnity Insurance protects you from civil liability claims for compensation sought by customers who believe you have breached your professional duty in the conduct of your profession (i.e. you make a mistake causing someone to suffer a financial loss). This may mean that an award is made in favour of a person who suffers a loss, damage or injury. Most people give little thought to protecting their income against an accident or illness,it is frightening to imagine what life would be like without your usual income. Personal Accident & Illness Insurance is designed to protect you against loss of income resulting from an injury or sickness. If you are self employed with no sick leave or are in a situation where your income is essential to meet commitments including medical expenses, mortgage payments/rent, car payments, food and bills, this policy offers you complete peace of mind your weekly income is insured. 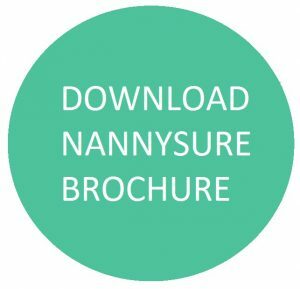 We have worked with the Australian Nanny Association to create cover specifically for your industry. So you will get the cover you need, the value you want, the flexibility of monthly payments and no surprise fees. Members of the association can receive a discount on their Liability insurance through Nannysure when obtaining a new policy or renewing an existing policy by just providing us with their membership number. What is the difference between a registered carer and a approved carer? 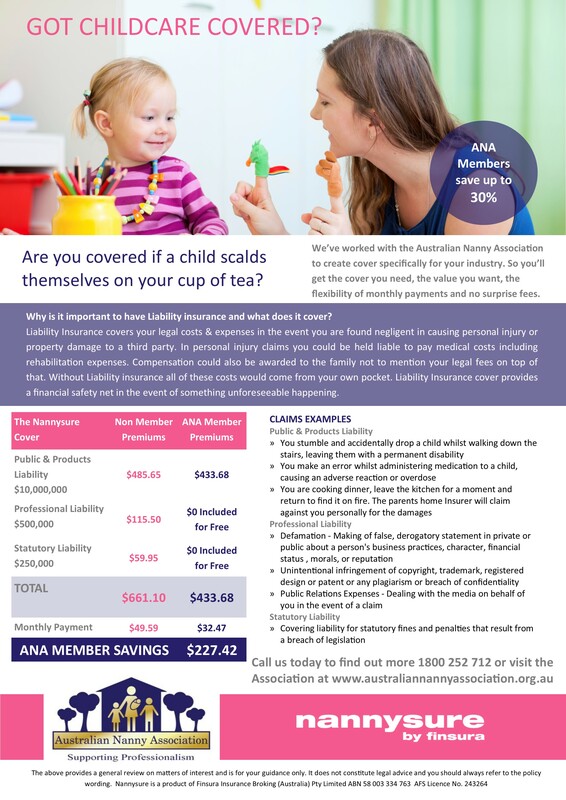 © Australian Nanny Association - 2018. All rights reserved.